As you all probably know, the Heir 20th release date has been moved to September 6. Since this is too late for my summer events, Del Rey has decided to print up some special 3″x6″ bookplates (see the picture in my “Photos” section) which I’ll be bringing to my convention and tour appearances. Once September rolls around, you can stick the bookplate inside the cover, and voila! — an autographed book. He can only reserve copies for book tour and convention attendees, but hopes the book plates will be successful enough so that he can offer them by mail. 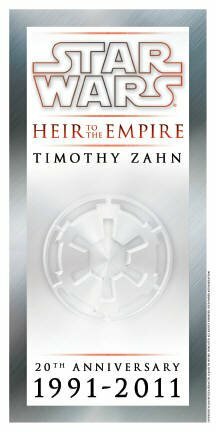 Next time you see Timothy Zahn at Dragon*Con or San Diego Comic Con be sure to pick one up!